We here at 365Etobicoke.com know that our city is a fantastic place to live in and play in and we want the rest of Toronto and the GTA to know it as well. Our site popularity has been growing year over year and with 20,000 to 30,000 page views each month we are getting noticed. Share the word and let your friends know that Etobicoke has lots to offer and embraces all visitors! So what does Etobicoke have to offer in the upcoming year? We have analyzed the numbers for the previous year including page views, comments, Facebook Likes, Twitter shares, and more to come up with the Top 10 Things To Do In Etobicoke in 2015! Also note that all entries were eligible including our numerous events, stores, restaurants, and festivals that make Etobicoke great! Starting in December and lasting throughout Winter the number of visits to the web page featuring Toronto’s first outdoor skating trail is astounding. From day one the outdoor skating trail located at Colonel Sam Smith Park in Etobicoke has seen thousands upon thousands take in the figure eight skating trail, admiring nature as they skate. 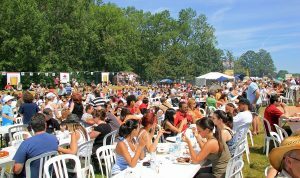 Toronto Ribfest at Centennial Park in Etobicoke is on the highlight reel of many newscasts each and every Canada Day long weekend. This 100% certified Etobicoke event brings in well over 100,000 people with all of them leaving with bellies full. Here’s hoping that the Toronto Ribfest remains in Centennial Park for years to come. The word is gradually getting out there that the Jerk Festival is one of the must-do events in August. 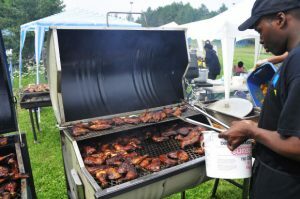 Also taking place at Centennial Park, the Jerk Festival is the next greatest celebration of island culture in the GTA second only to the Caribbean Carnival! 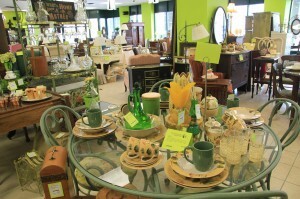 If The Singing Lady Consignment Emporium gets any more popular owner Tammy may have to occupy yet another building to house all these great and wonderful items. In a short few years The Singing Lady has grown from a small store on Burnhamthorpe to a 13,000 square foot complex occupying two buildings along The Queensway. Pay them a visit in 2015 and see what the fuss is all about! 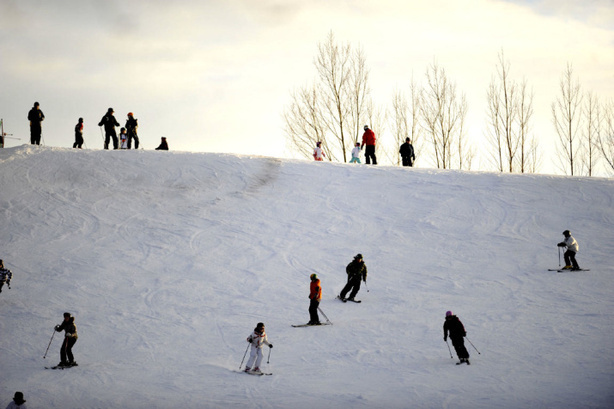 The Centennial Park Skiing and Snowboard Centre is not Whistler and no one is claiming that it is. But the fact that it is minutes away for anyone who lives in Etobicoke and with a decent ski and snowboard hill there is good reason why it is so popular. Etobicoke is crazy for farmers market with one happening daily in our little city. 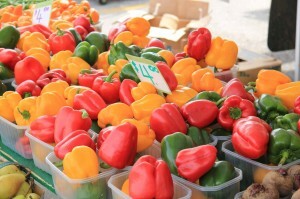 From the Civic Centre to Stonegate to Sherway Gardens, there’s a farmers market near you! And stay tuned, there are more write-ups to come! Taste of the Kingsway is one of the highlighs in Etobicoke as it signals that Summer is drawing to a close. There’s no need to get too sad however, with plenty of eats and things to do for the kids it’ll put a smile on your face and food in your belly! Sometimes you just want to take in nature and there are few spots better to do that in than James Garden Park. 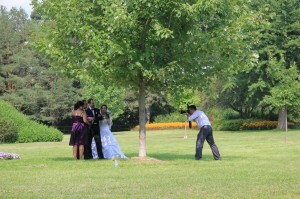 On any given weekend you’ll see people strolling and newlyweds getting their pictures taken. Lakeshore Mardi Gras is a great time for all and proof once again that Etobicoke is “ga-ga” for festivals. 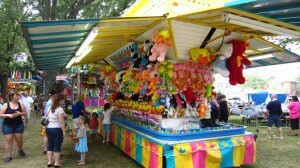 Music, rides, games, and more, it’s truly fun for the whole family. 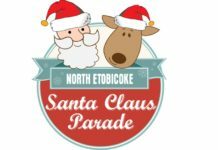 Taking place only a few weeks before Christmas the Etobicoke Lakeshore Santa Claus Parade truly brings out the kid in all of us. 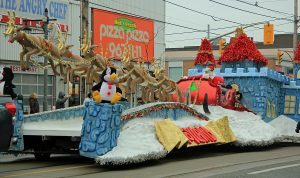 Covered by major media and attended by thousands across the GTA there’s a good reason the number of floats and parade participants increases every year. So the next time someone asks you “what’s so great about Etobicoke?” point them to the above list. And when they’re done with these they can move on to one of the other 365 (and more) great things to do in Etobicoke! 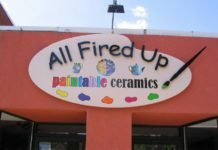 Tell them 365Etobicoke.com sent you! Remember to “Like” the things you love to do as this will help determine the top 10 things to do in Etobicoke.